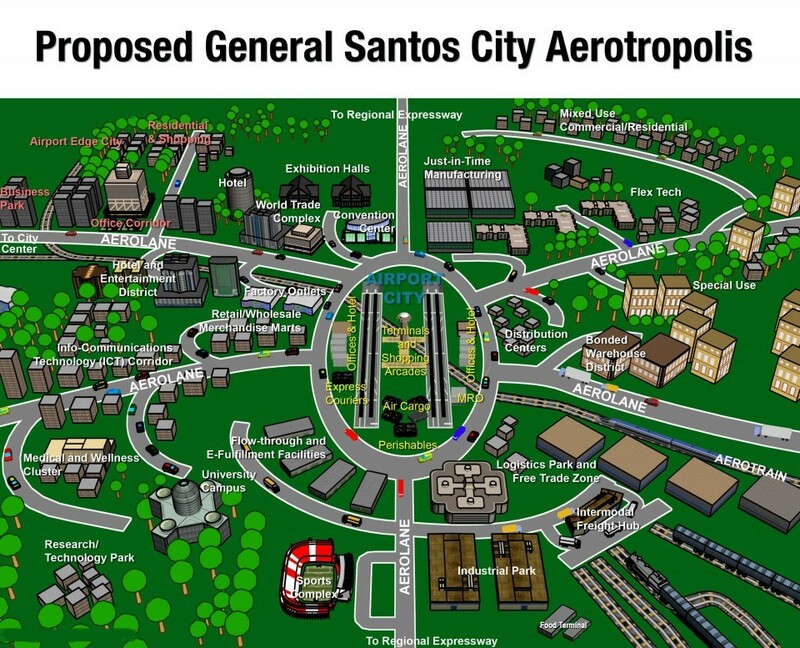 General Santos City is trying to acheive new heights by adding what is being dubbed “Aerotropolis,” a new 959-million peso Industrial Airport Complex in southern Mindanao. The new complex is Region 12 will open regional and international business to the region – The complex will include various entry points around Region 12 and include the General Santos International Airport, The Fishport Complex and the Makar Wharf just to name a few. Region 12 is commonly known to many as Socsksargen and is composed of the province of North Cotabato, South Cotabato, Sarangani Province, Sultan Kudarat and five cities which include Korondal City, Tacurong City, General Santos City, Kidapawan City and Cotabato City. The project is being pushed in the Mindanao Development Corridors and is being arranged under the direction of MinDa – the project will make General Santos City a potential hub for due to it’s proximity to major economic centers in Mindanao and also the BIMP-EGA corridor.